Q: I created a bunch of topics in the wrong category. Can I moved them all at once? 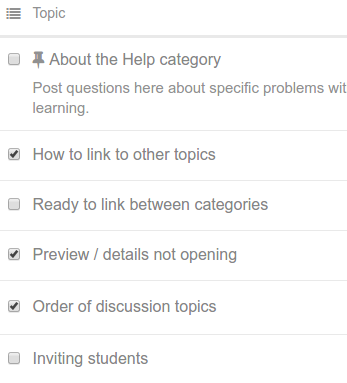 You can also Change category, delete, close, archive, change notification level, unlist (so they don’t show up in topic lists), and change tags.